Everyone wants their home to look absolutely unique but rarely do they come up with ideas that are truly different. In order to get a distinctive ambiance and design in a limited amount of space, you have to try and think out of the box. 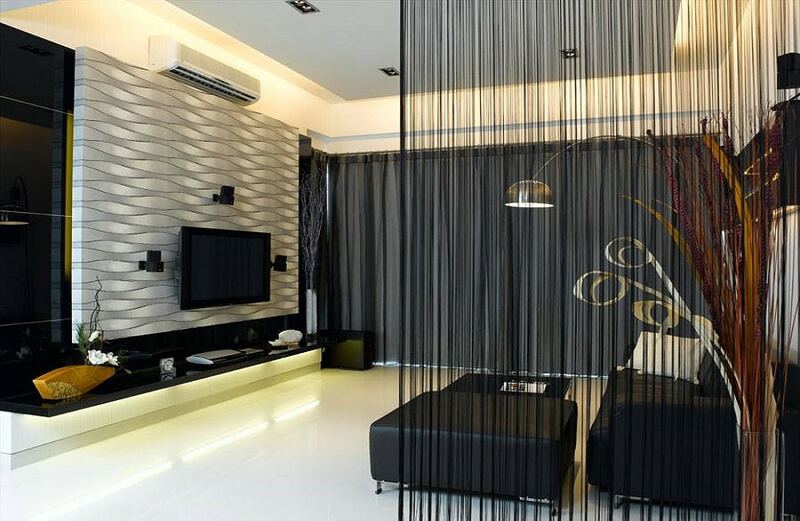 So to get your mind running, we’ll be sharing 5 ideas to get a really unique HDB interior design further. The thread half-wall is the perfect installation to create a barrier between your HDB living area and the rest of the home. It’s very subtle and it provides an element of curiosity, which is always a good thing when you’re designing typical home interiors. Such an installation can be difficult to get in the market, and you may have to hire an artist to customize one according to the dimensions of your space. The bed-bath spa effect can be emulated by breaking down the walls between the bedroom and bathroom area. 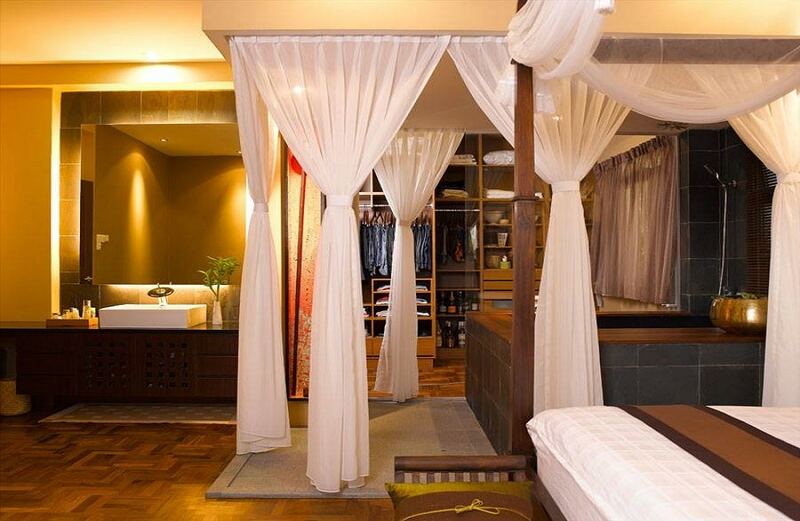 Of course, you don’t have to make the toilet a part of this extensive spa-like space, but you can install a Jacuzzi and a double vanity to create a truly synthesized ambiance. Note that you may have to get permits from the relevant HDB authorities to execute such a design. The original space-age furniture styling may have started in the late 60s, but we still have some futuristic pieces that fit very well in conventional contemporary settings. 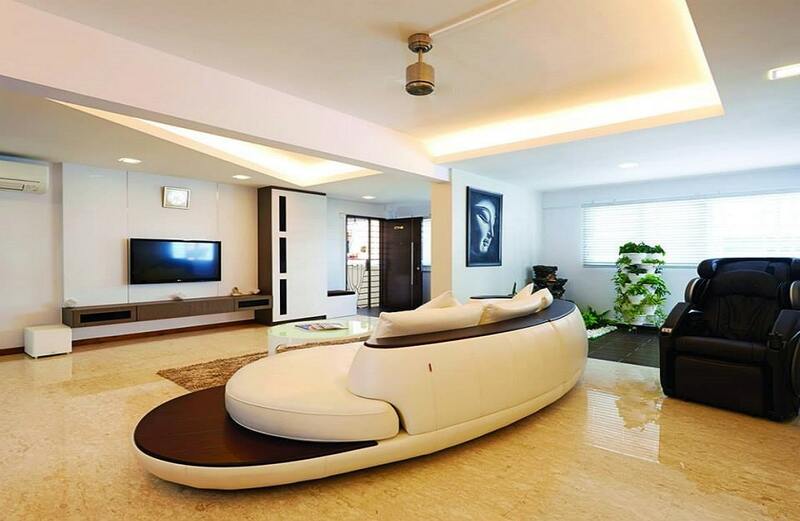 Futuristic couches and sectionals are all the rage these days. So if you have a large living room space, then you absolutely must have one. 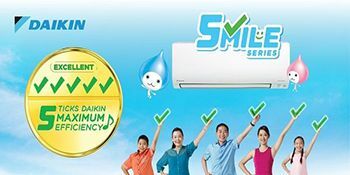 Singapore is a hot and humid country, and therefore having a ceiling fan in your interior designs is an absolute must. But instead of the typical three-winged fans, you can go for a more stylistic and efficient four-winged one to make your interior designs more unique and functionally apt at the same time. 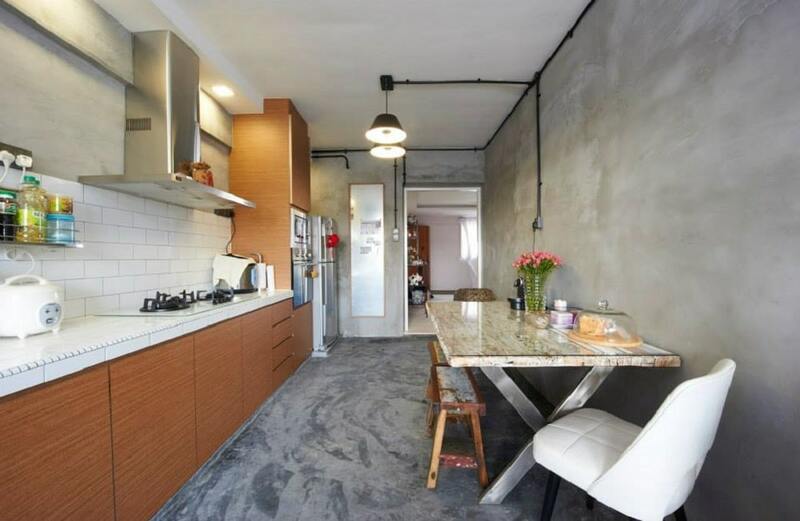 An in-house dining area in your HDB kitchens is a totally unique idea. Breakfast bars and even islands are common, but a full-fledged dining space is very different. You can go for mismatched furniture that brings a lot of personality to your kitchen space. You can even accessorize it with some crockery or vases to make things more interesting.